With more testing for banned antibiotics and higher detection rates, the FDA might be expected to have taken a more aggressive approach to eliminating the use of antibiotics in aquaculture. Yet a report made public yesterday by the U.S. Government Accountability Office (“GAO”), Imported Seafood Safety: FDA and USDA Could Strengthen Efforts to Prevent Unsafe Drug Residues (GAO-17-443, Sept. 2017), indicates that the FDA has not changed its approach. 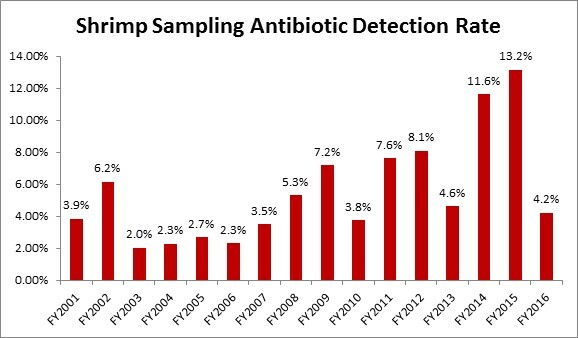 Instead of testing, the FDA relies upon processor and importer compliance with regulations regarding Hazard Analysis Critical Control Point (HACCP) to limit the exposure of American consumers to potentially harmful antibiotics. Effectively, this means that the FDA relies upon importers to ensure the safety and wholesomeness of imported seafood introduced into the U.S. market. But the GAO’s report indicates that there is significant reason to doubt importers’ adherence to the HACCP regulations. 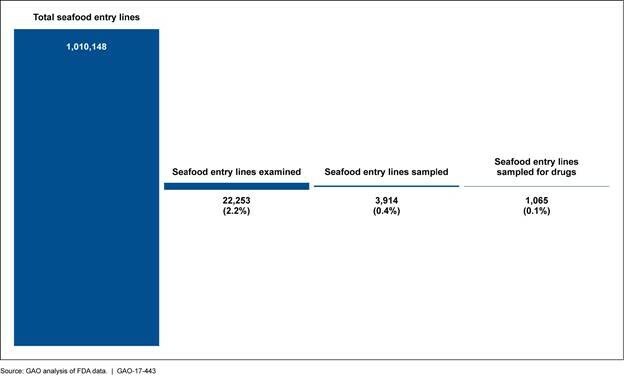 The GAO explains that for FY2010 through FY2015, the FDA inspected, on average, 178 seafood importers annually – an amount equivalent to four percent of the average number of seafood importers registered with the FDA each year over that six-year period. The GAO selected nine inspections to review at random, a process that the oversight body notes is a non-generalizable sample. Nevertheless, of the nine, the FDA found that five could “not identify the affirmative step taken to document that the foreign processors supplying some or all of that importer’s seafood products were in compliance with HACCP requirements.” More disturbingly, “[i]n some cases, the inspection report also noted that an earlier FDA inspection had also found that the importer had failed to identify an affirmative step that was required in order to comply with HACCP regulations.” This means that a small, random pull of FDA’s inspection reports found evidence of repeated non-compliance with HACCP regulations by a seafood importer. 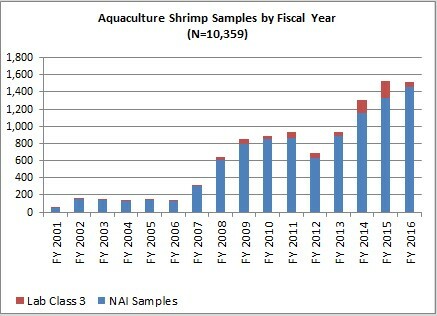 In the data that the GAO reviewed, the FDA reported that it had taken 550 shrimp samples for drug testing in FY2015 and that, of those, 67 were found to have the presence of unsafe drug residues. That’s the equivalent of a 12.2 percent violation rate. The GAO notes that during FY2015, the United States imported 1.3 billion pounds of shrimp. The violation rate, if applied to all shrimp imports during that year, implies that roughly 158 million pounds of contaminated shrimp entered the United States during that fiscal year.